Instructors - Forever Tai Chi! Shifu Pam Dye is a Tai Chi and Qi Gong (Chi Kung) instructor with over 15 years experience in the martial arts. She earned her second degree black sash in 2016. In her earlier years she trained in various Kung Fu styles and started learning Tai Chi Chuan after having shoulder surgery. Since then her focus has been on the internal arts. 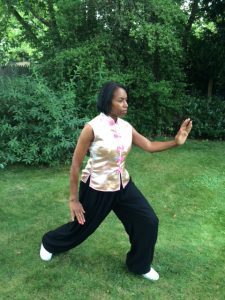 Having studied under Grand Master J. Teasley since 2002, she has learned Yang, Chen and Wudang styles of Tai Chi and has incorporated these styles into her teaching. She has expertise in some Tai Chi weapons such as Yang Style Tai Chi straight sword, broadsword, fan, and pole. After being diagnosed with MS in 2010 Pam has adapted the forms originally developed by Grand Master Teasley for his MS students into her curriculum. Shifu Pam has taught Tai Chi and Qigong at adult education classes in Freeport, Baldwin ,and Rockville Centre, NY and continues to teach weekly classes at Bethlehem Lutheran Church in Baldwin, NY and other venues. In 2017 she developed a Kids Tai Chi curriculum and currently teaches =at a local after school program. She is a certified Tai Chi and Qigong instructor through the American Tai Chi Qigong Association (ATCQA). She has participated in demonstrations at World Tai Chi Day in Central Park, NY and was selected by Sifu Teasley to participate in the World Culture Open in Seoul, Korea in 2004. 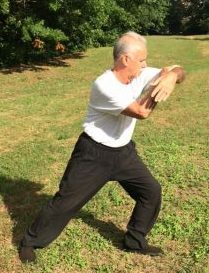 Losi Bill Neylon has been studying Tai Chi Chuan for over 15 years and is second degree brown sash. He has focused on Yang style Tai Chi as well as learning elements of Chen style. He has participated in demonstrations at World Tai Chi Day in Central Park, NY and at area libraries and other venues on Long Island, NY. Scott Ruff is originally from Buffalo NY, he has studied Taiji and Kung-fu for approximately 25 years with various instructors. He has studied and been an assistant instructor of both Shaolin Kung-Fu, Yang style Taiji and Chen style (Laojia) Taichi with the Shaolin Institute under Shifu Shi Deru. He has studied Chen style (Xinjia) and Northern Wu style Taichi at the White Crane Taichi School under David Dolbear. Scott Ruff emphasizes the fundamentals of Tai Chi as they relate to the arts martial origins and the application of internal kung fu practiced within Tai Chi in his teaching approach.